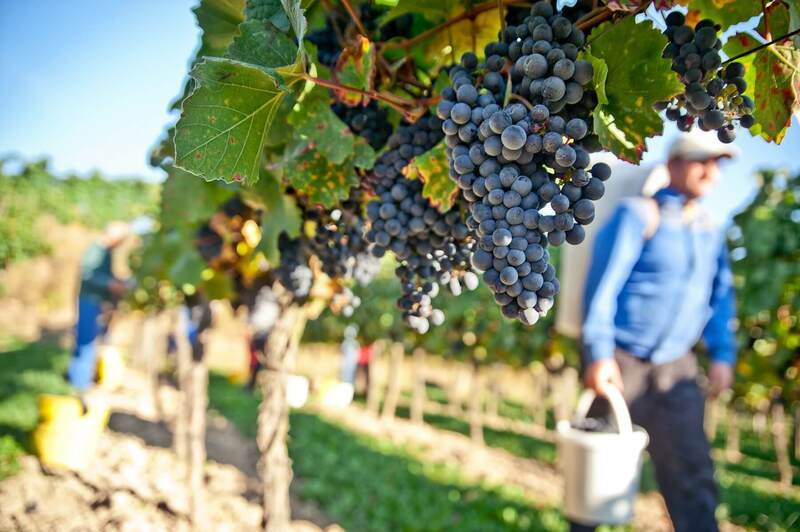 Blog Post | How Do Winemakers Know When to Pick Their Grapes? Like most true wine enthusiasts, we are just as fascinated by the winemaking process as we are by getting it down our necks. From a distance, it always seems to be something of a magical practice, and the evocative images of swarthy men and willowy women - knee-deep in grapes and stamping around in vast barrels - is as irresistible as it is unrealistic. Obviously, modern winemaking doesn’t involve quite as much of that sort of thing as we’d perhaps like. Nonetheless, winemaking remains to this day full of interesting quirks, amazing skills, and age-old techniques which keep that sense of wonder alive. A good example of this sort of thing revolves around exactly when the winemaker decides that his or her grapes are ripe for the plucking. As everybody knows, this is a vital part of the overall winemaking process, and the chosen moment is absolutely crucial to just how good the resulting wine ends up being. Pick too early, and the grapes will be overly acidic and tannic. Pick just a day too late, and the sugars will have developed to such a point that the wines will end up sweet and flabby. Finding that perfect moment is something which requires a lifetime of practice and expertise, and winemakers all over the world use a variety of methods and techniques for figuring out exactly when that method comes. Interestingly, ‘ripeness’ when it comes to grapes is far from a fixed concept. Choosing when to pick your fruit from the vines depends on a massive number of different factors, which primarily revolve around the grape varietal being cultivated, and the type of wine the winemaker is trying to make. In this article, we’re going to be taking a closer look at some of these factors, as well as the various tell-tale signs that the moment is right for harvest. So, without further ado, let’s dive right in and find out all about it. 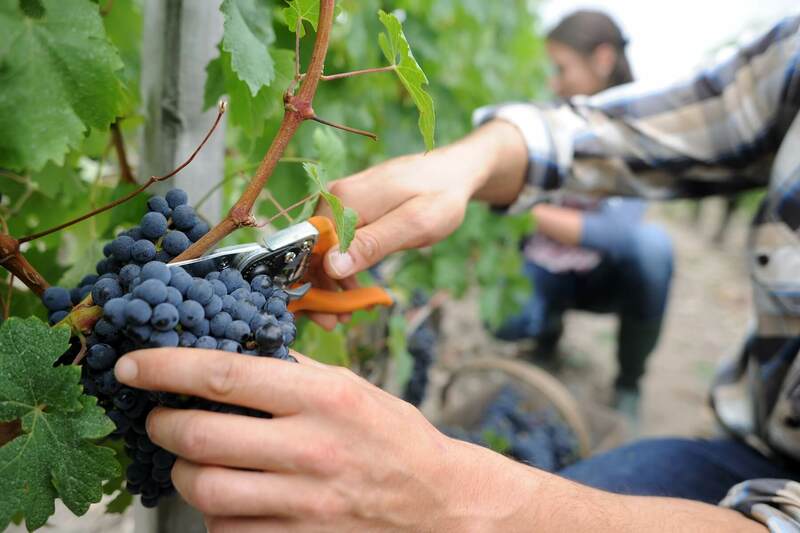 Most expert winemakers will rely on a combination of taste, skill, awareness, and scientific testing to define exactly when the day (or even hour) for harvest should take place. It’s remarkable that in the 21st century, winemakers are still using time-honoured techniques to figure out the all-important beginning of the harvesting season, and then using modern scientific methods to sharpen and bolster such techniques, rather than it being the other way around. With the recent resurgence of interest and enthusiasm surrounding vin naturel and organic viticulture, many winemakers are relying even more on the old methods and their intuition, demonstrating that such approaches definitely still have a place on the contemporary wine scene. Let’s start by looking at the simplest of these approaches. Mother nature provides plenty of signs to look out for; the animals and birds who frequent the vineyards will be ready and waiting for the abundance of fruit to become palatable, and increased bird activity in the fields is one of the first things that’ll make a winemakers ears prick up. 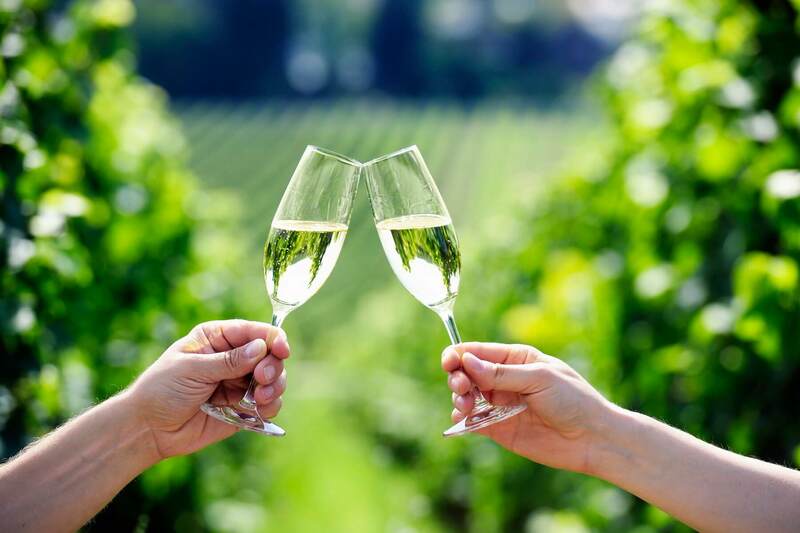 Winemakers will also regularly walk among their vines, prodding, poking, squeezing, and tasting their grapes, and interacting with them on a human level which could never be replicated by a machine. Of course, modern wineries will employ all kinds of machines and devices, which measure the pH level of the grape juice, and tell them exactly how tannic the skins and seeds are. However, as yet, machines are unable to detect flavours in grapes… and that’s perhaps the most important aspect of winemaking and deciding when they’re ready for harvest. Winemakers often talk about popping fruit into their mouths, and feeling how firm the skins of the grapes are between their teeth. They also speak of detecting flavours which have different levels of complexity and depth (for example, one red grape might taste vaguely of cherries one week, and the next will have developed more specific notes of black cherries the next), and checking for shrivelling, shrinkage, or looseness from the stalks. All of this together will paint a clear picture of when the moment for picking and crushing should take place. Winemakers will be highly familiar with the exact colour they’re looking for from their grapes, and the subtle colour changes which occur near full ripeness is a dead giveaway for when they’re ready to be picked. Obviously, red grapes will slowly turn from green to red, purple, blue or black as their ripen, but white grapes will also take on a different surface colour, texture, and sheen to show they’ve hit the right point, too. Hold a ripe grape up to the light, and you should be able to detect the presence of a brown seed inside. Before ripeness has occurred, those seeds will be green or white (and extremely tannic and bitter to taste). Grapes will appear plumper and juicier as harvest time approaches, due to the fact that they’ll be bursting with all that lovely rich flesh. What’s more, the berries will be easier to pull from the stalks, meaning a winemaker can feel with their hands how the progress of their fruit is coming along. Ripe grapes are sweet and fleshy, and most of the bitterness and astringency of the unripe fruit will have disappeared completely. 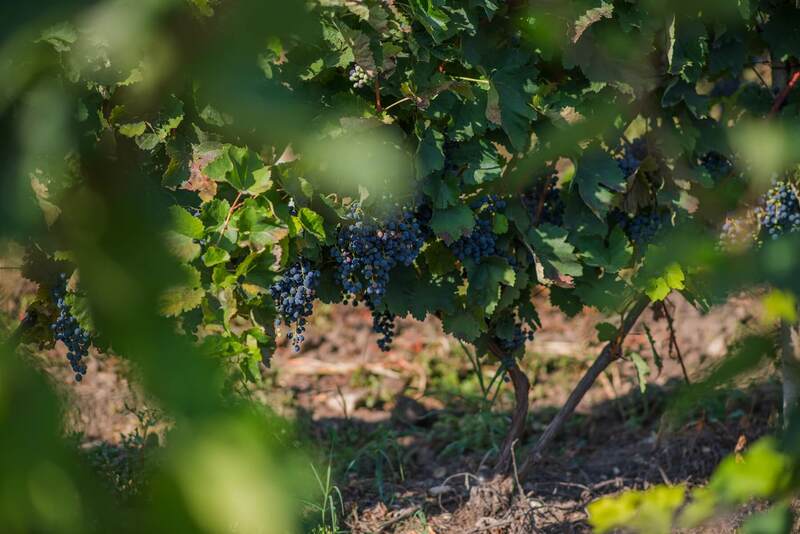 It goes without saying that some of those tannic qualities - despite being unpleasant to eat raw - are important when it comes to producing well-structured wine, so wine grapes aren’t necessarily judged by how delicious they are to snack on in the vineyard! While all of these factors cover most of the basics, they only go so far when it comes to the temperamental, complex, and unpredictable nature of winemaking. One of the wonderful things about wine is that it remains a fundamentally natural product - you can have all the technological wizardry in the world to ensure things go as smoothly as possible… but winemakers still can’t control the weather, or the quirks of the land that they work on. Harvesting times are still at the whims of Mother Nature, and if she decides to throw an early frost, a scorching hot and dry summer, or a flood (or even, in some parts of the winemaking world, something more dramatic, like a volcanic eruption) your way, well, all that technological know-how might end up just going out of the window. As such, it’s fair to say that skill, knowledge, experience, and intuition are still the most important factors at play, and we say: long may that continue!